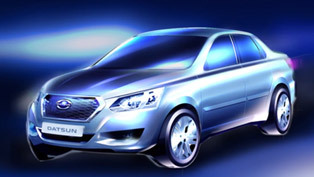 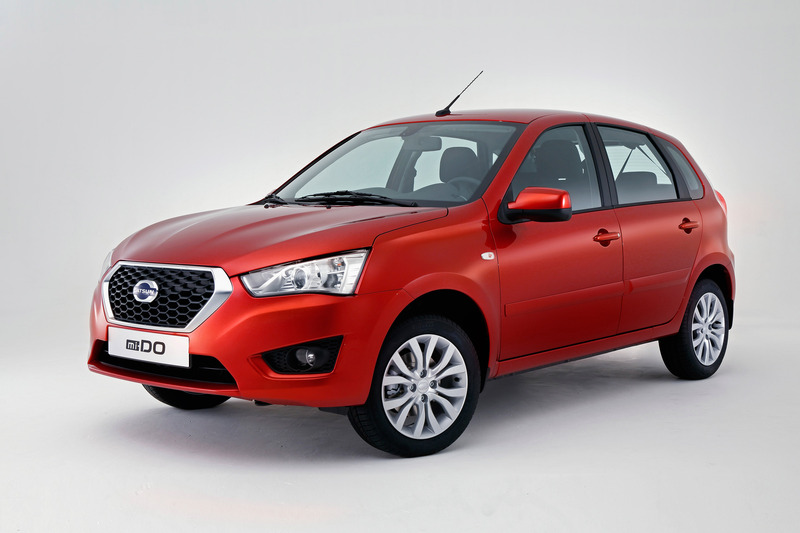 Datsun mi-DO has just made its debut at the Moscow International Autosalon (MIAS). 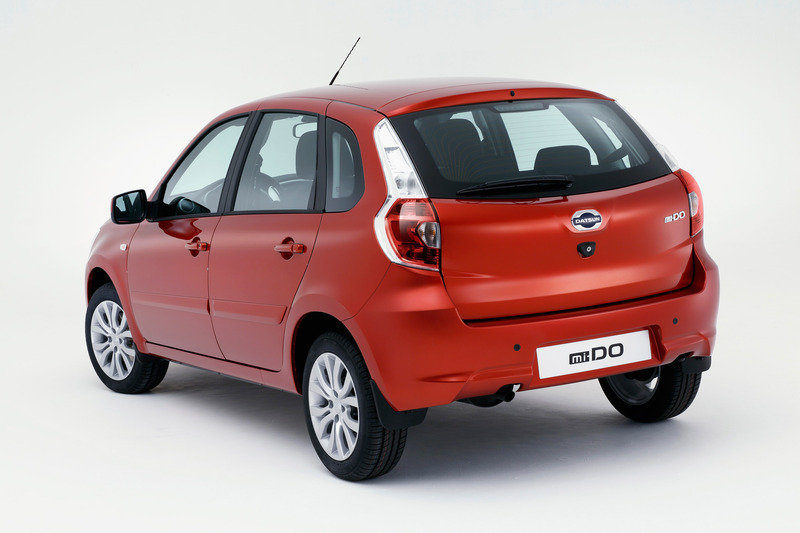 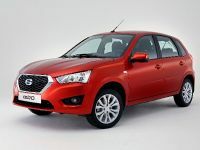 The five-door sibling of Datsun on-DO made it worldwide launch there, being the second Datsun model which will be seen on the streets of Russia. 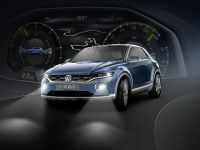 The on-DO was revealed in April this year and its first deliveries are expected in September. 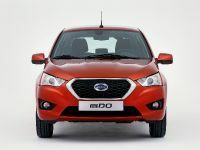 mi-DO is a sporty five-door hatchback, which is dominated by brand's confident ‘D-Cut' grille. 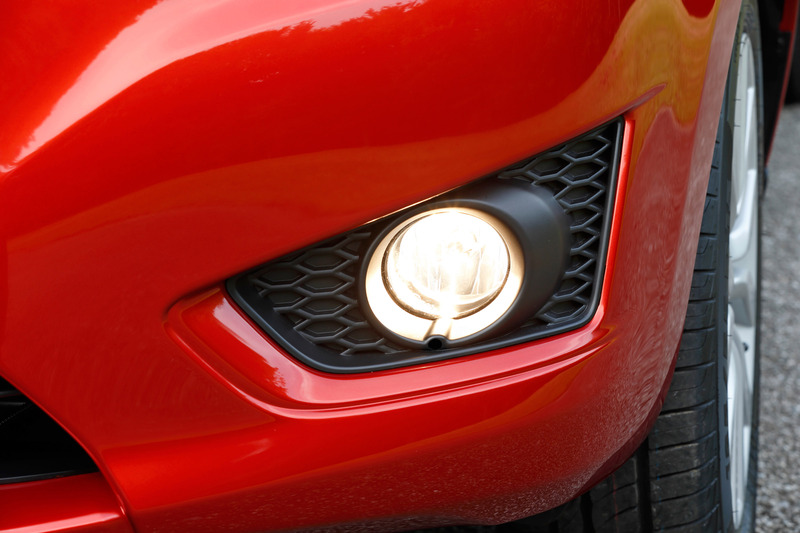 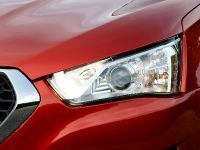 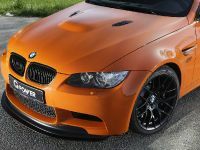 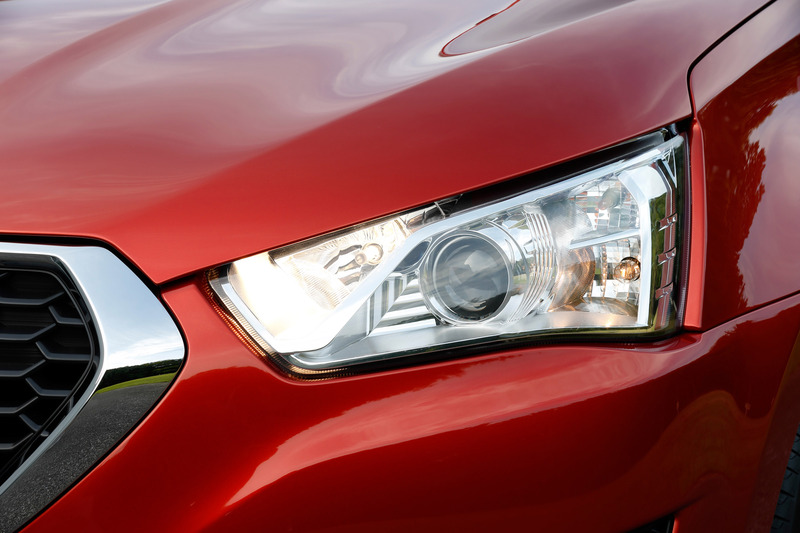 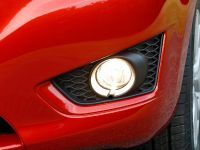 The grille in turn is flanked by dramatically elongated projector headlamps that stretch virtually from grille to fender. 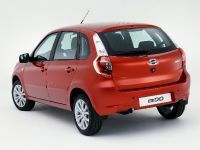 This differentiates the sedan and the hatchback at a glance. 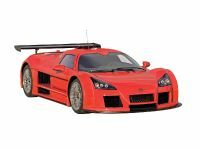 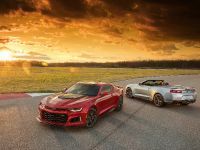 Both models however share the same wheelbase and front-wheel drive chassis layout. 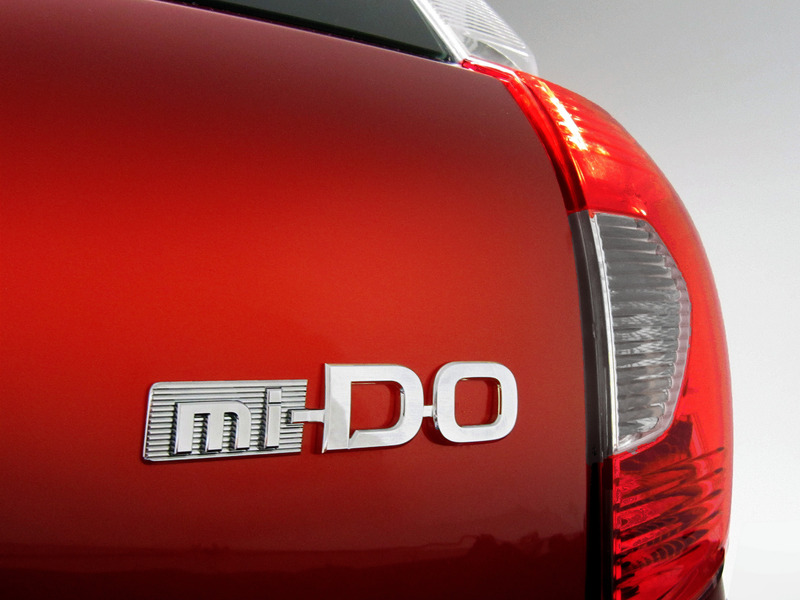 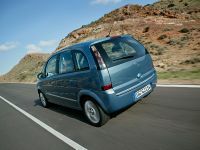 The mi-DO is shorter which emphasizes its driving dynamics. 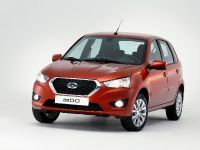 Precisely, the wheelbase is 2,476 mm long, 1,500 mm tall and 1,700 mm wide, but the new Datsun mi-DO is 3,950 mm long in comparison to the Datsun on-DO which is 4,337 mm. 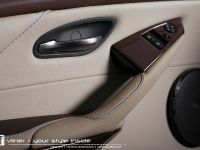 In terms of equipment, the designers have prioritized the comfort and safety. 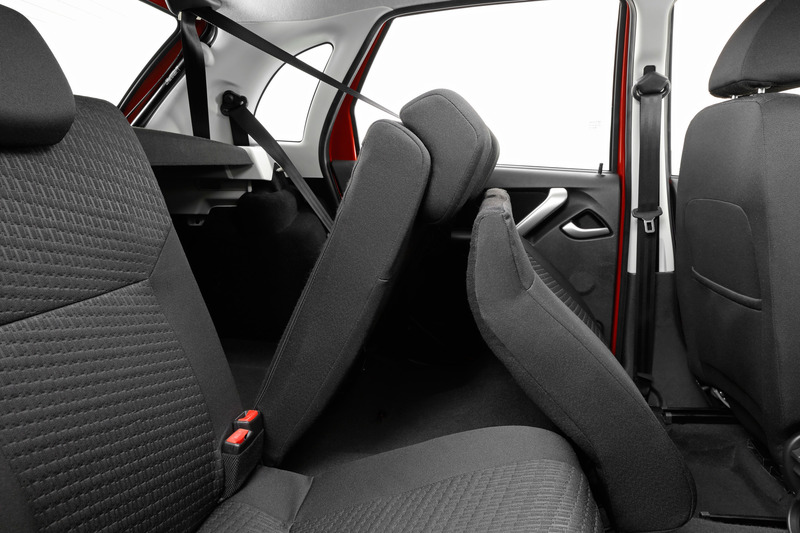 Every car will have a driver and passenger airbag as well as ABS. 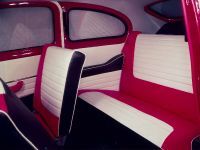 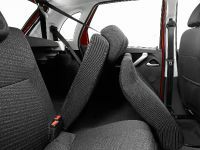 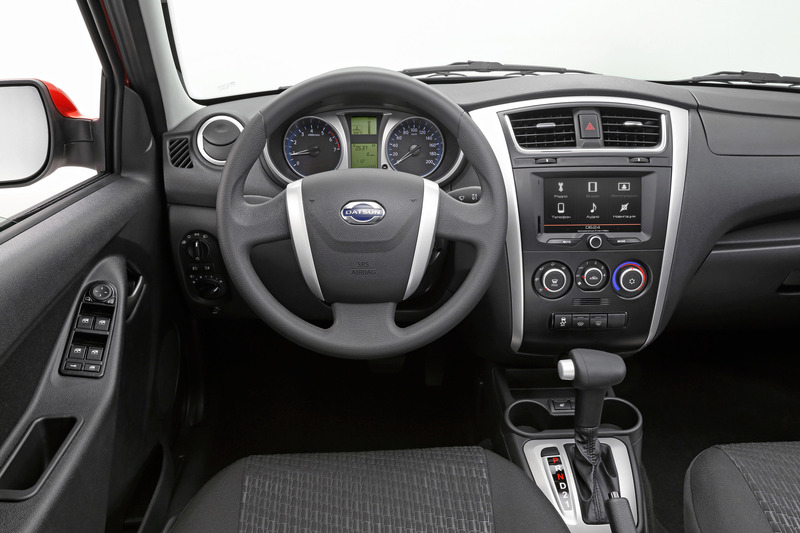 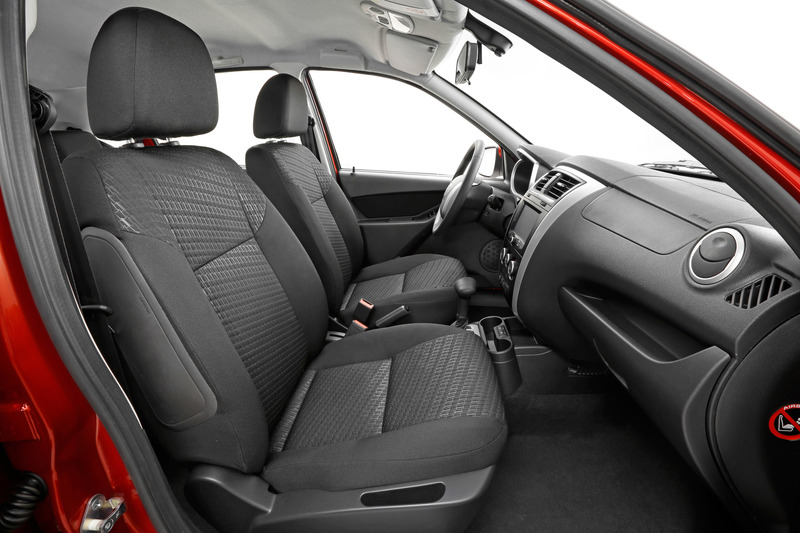 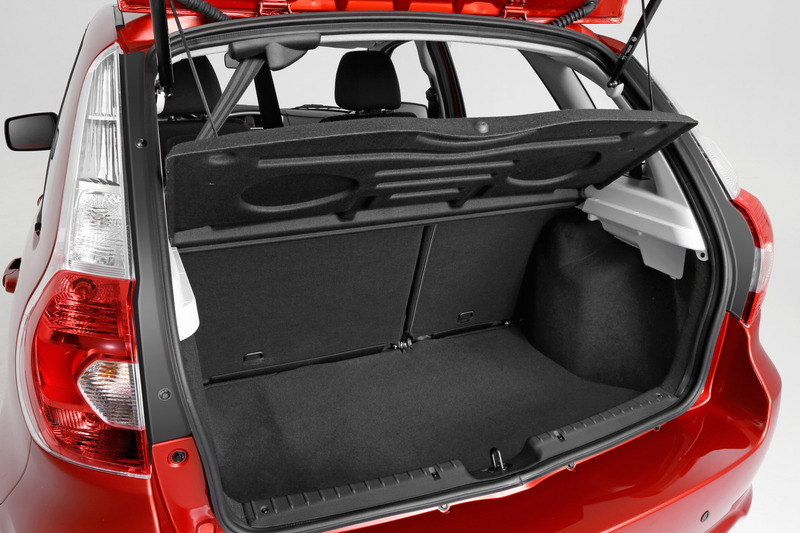 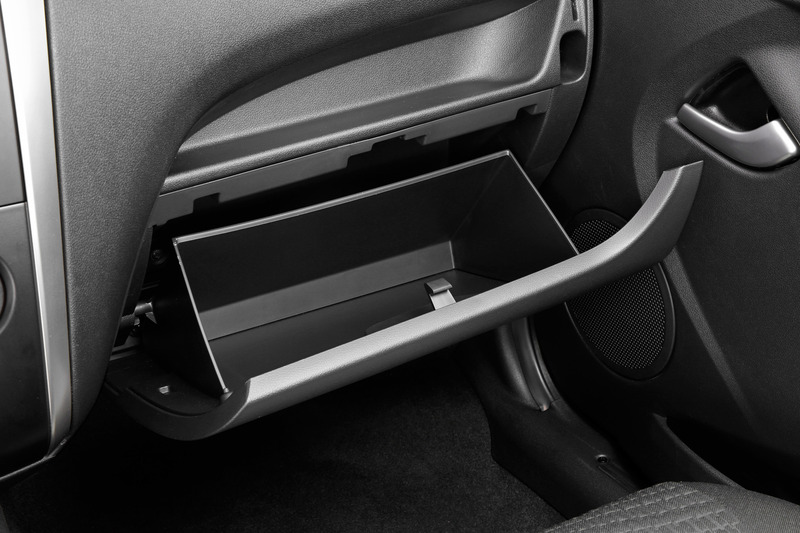 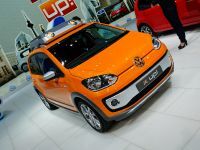 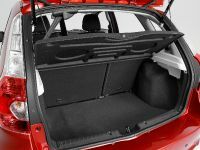 As a standard there will be also included a winter pack with heated seats and door mirrors. 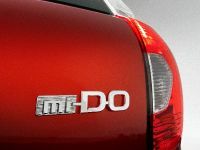 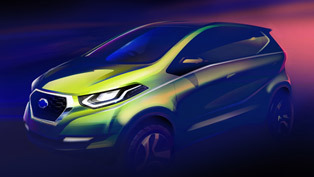 The new mi-DO will be powered by the 1.6-liter 8V engine, which produces 87 horsepower (64 kW). 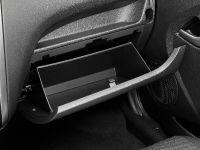 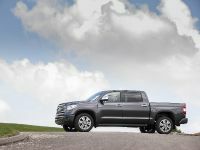 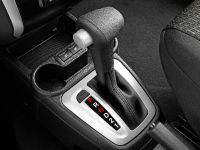 The unit will be coupled as a standard with a five speed manual transmission, while the option is the four-speed automatic transmission. 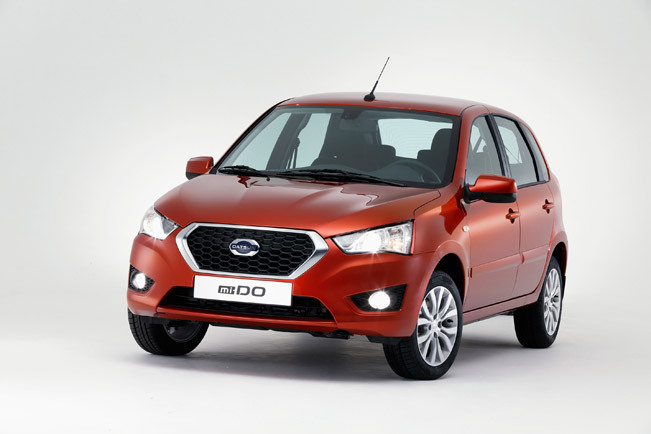 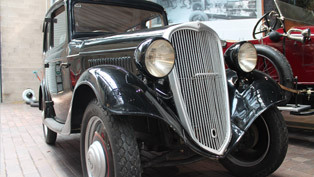 And if you wonder about the names Datsun on-DO and Datsun mi-DO, well they reflect cars' international heritage, encompassing Japanese, English and Russian themes. 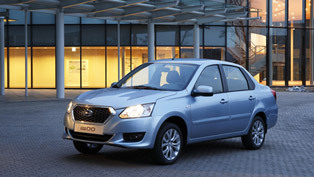 DO is a Japanese word that translates ‘moving' and also refers to a ‘way' of doing things. 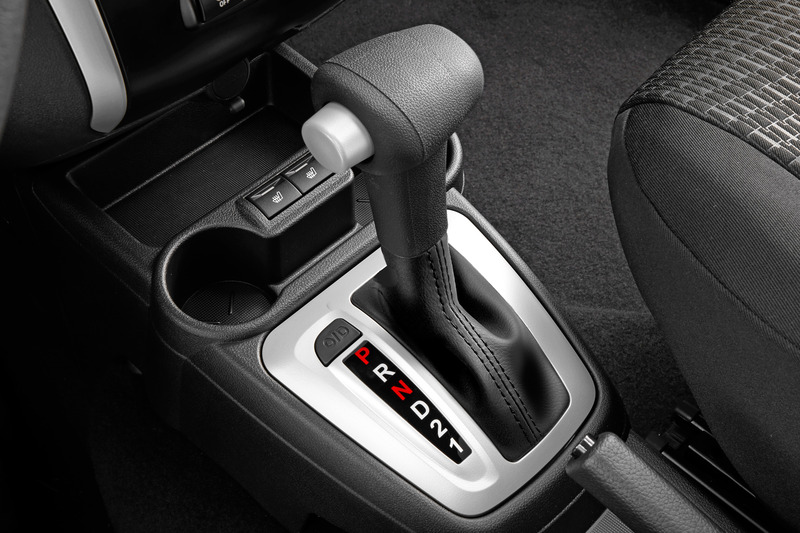 The Russian word ‘on' is means ‘he', while ‘mi' sounds to a Russian speaker like the English word ‘me' and personalises the car. 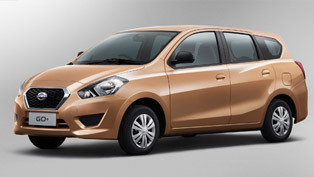 Sales of Datsun mi-Do are scheduled to start in early 2015.